This June, Dynamite Entertainment will bring back Mighty Mouse to new comics shelves everywhere. 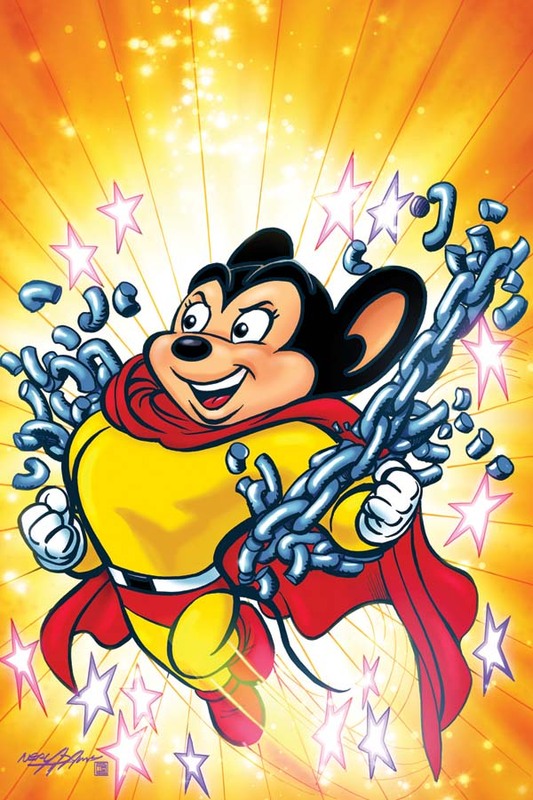 The new series simply titled Mighty Mouse is now written by Sholly Fisch, illustrated by Igor Lima. The character is under license by CBS. The launch includes variant covers with featured artwork by comic artist legends Alex Ross and Neal Adams. Also available as limited retailer incentives are Black and White, Coloring and Blank cover editions. Contact your comic store retailer for more information. Mighty Mouse #1 will release in June 2017 by Dynamite Entertainment to comic book retailers and many popular digital comics apps.